Facebook will replace Infosys as part of the NASDAQ 100, the basket of companies that determine the movement of the NASDAQ index. The move is affirmation of Facebook’s status in the technology space, and could lead to a buying swing for the stock as index funds and other pick up its share to balance out their portfolios. NASDAQ confirms that Facebook will be added on December 12th, or around 7 months after its initial public offering. Facebook has lost value since its IPO, but the company has stabilized, and is turning in results that could be construed as consistent. At current point, its market capitalization is roughly $59.5 billion. It’s notable that Facebook has been given this prominent placement, and all the status that comes with it, and not other Internet companies that have recently gone public, such as Zynga, Groupon, Pandora, or LinkedIn. Facebook is not alone in having a tough first few months in the public markets, but it is certainly a larger company when you stack its aggregate value compared to its recently public siblings. Facebook currently trades for $27.46, down from its 52 week high of $45, but up significantly from its 52 week low of $17.55. As TNW reported, the company’s most recent earnings included revenues “$1.26 billion and earnings per share of $0.12 on a non-GAAP basis.” The company faces continued costs relating to stock-based compensation. 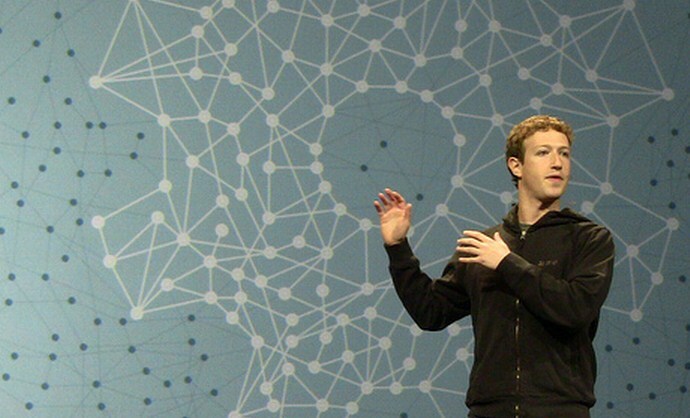 Facebook recently passed the 1 billion user milestone.